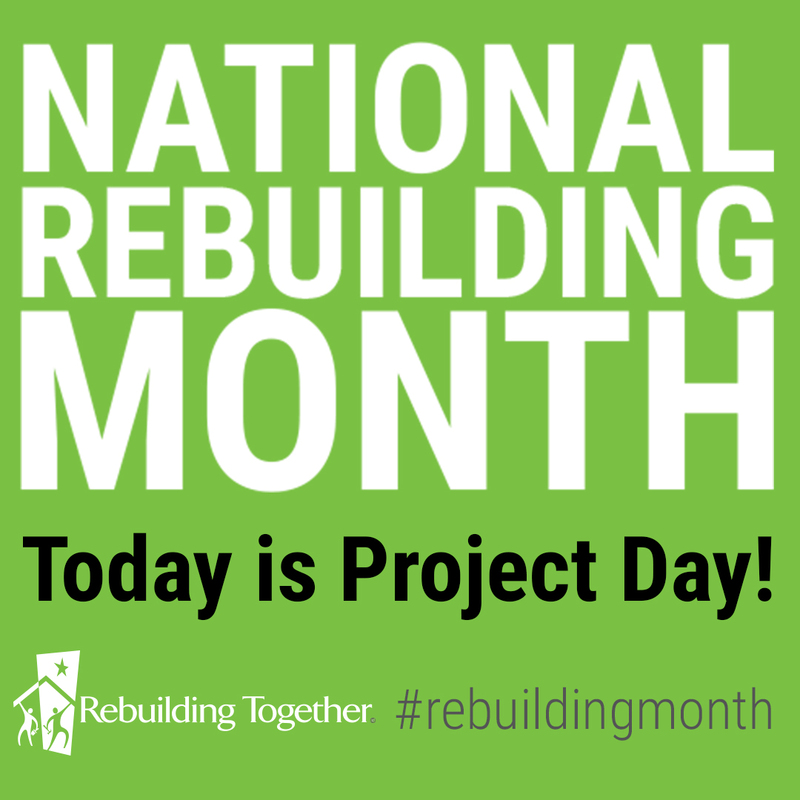 April is National Rebuilding Month! 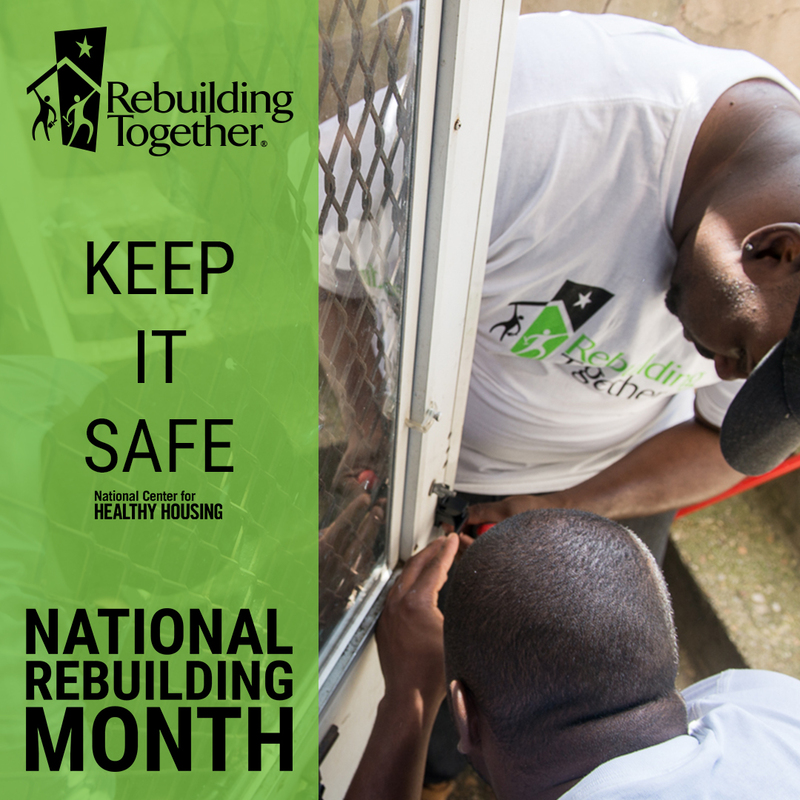 National Rebuilding Month is an annual month-long call to service during April, culminating with National Rebuilding Day, the last Saturday of the month (April 27, 2019). Nearly 33,000 volunteers will serve on over 1,500 affiliate-led rebuild projects throughout the country this April. On April 27th 2019, Rebuilding Together Dutchess County, with help from our volunteer teams, will complete six critical home repair projects (two more projects will take place in June). Support safe and healthy homes with us in April – here’s how you can get involved in your own home and community! Learn about the eight principles of a safe & healthy home! Spring cleaning tip: take steps to weatherize your home this spring and save big on your home energy bill. Home safety tip: prep your home and your family for the threat of severe weather and have a plan. Donate to Rebuilding Together Dutchess County! Follow RTDC on Facebook and Twitter. Use #RebuildingMonth on social media to engage in the conversation. Share the need and impact graphics on Facebook and Twitter. 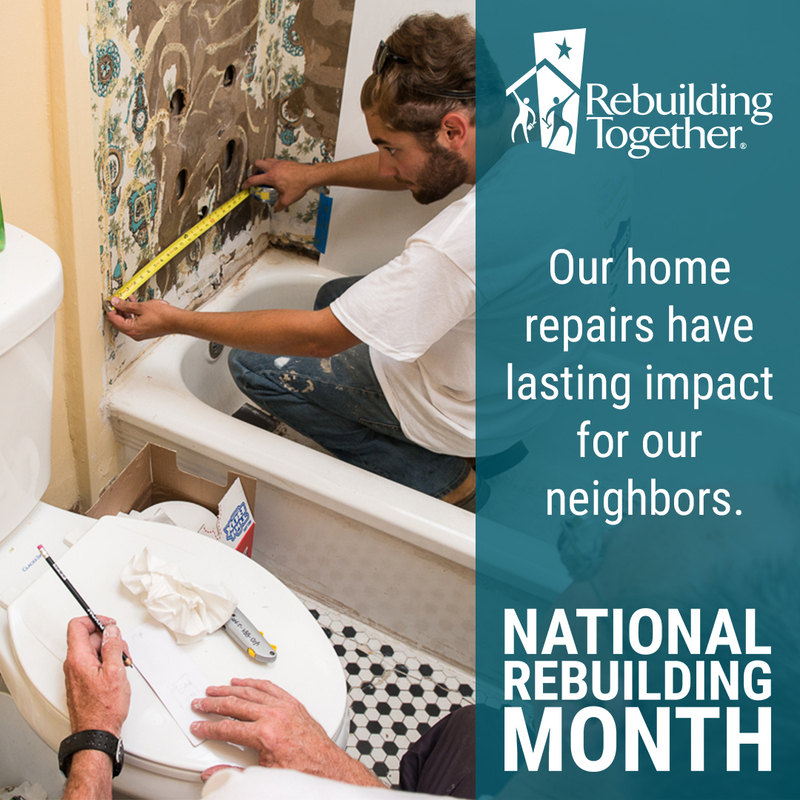 National Rebuilding Month exemplifies the mission of Rebuilding Together, helping to solve the urgent need for a safe and healthy home for every person. Recognizing that unsafe or unhealthy living conditions at home account for many of the leading causes of preventable fatality, illness and disability, today – this annual effort demonstrates the positive effects of home and neighborhood revitalization on the overall health of homeowners, families and communities. Support our mission to transform lives and revitalize our communities!